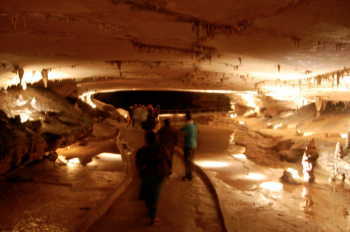 I have loved visiting caves for as long as I remember. 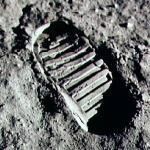 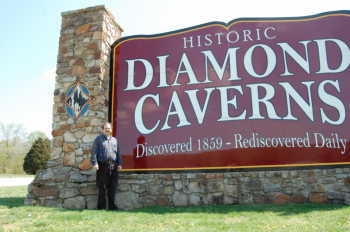 In 2013, I finally got the chance to visit quite a few. 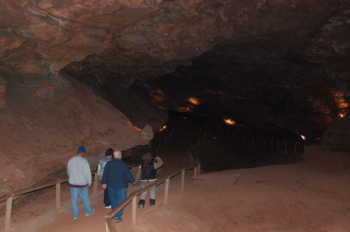 I took sixteen tours in eleven caves (and visited another); some that I had visited before, and some that were new to me. 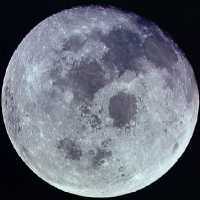 OK, so I was so excited I started a few days early. 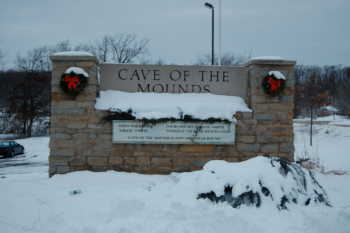 I visited Cave of the Mounds in southwestern Wisconsin. 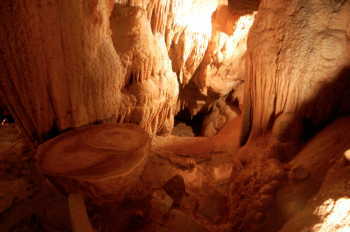 This was likely the first cave I visited back when I was a kid. 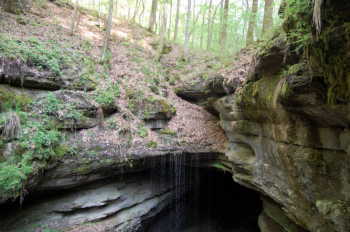 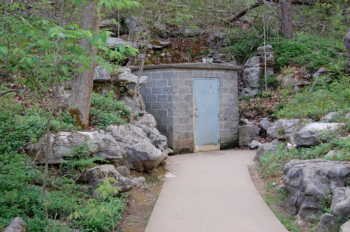 This is a fun cave, one of very few in the Midwest, and one that has never been naturally open, to the outdoors so there is no natural wildlife. 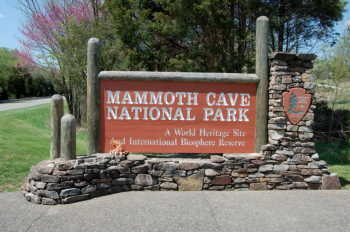 In April, I took a trip to Mammoth Cave - the first time I had been there in more than twenty years. 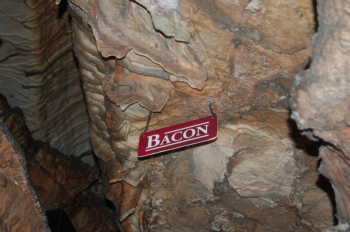 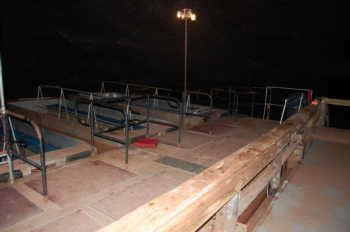 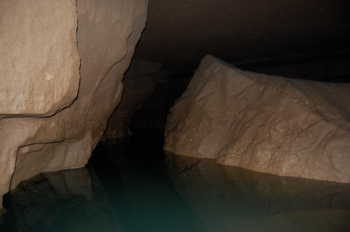 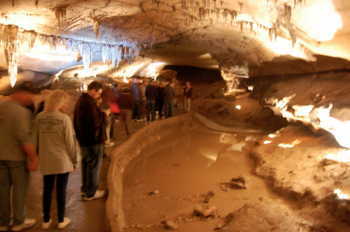 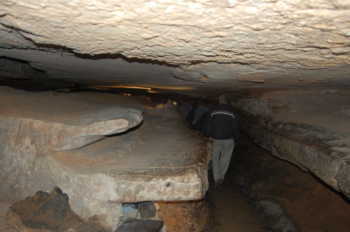 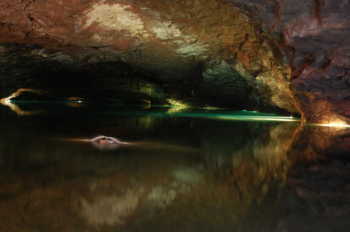 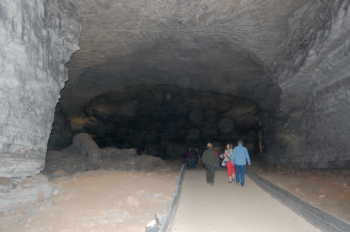 I also visited a number of other caves on that trip. 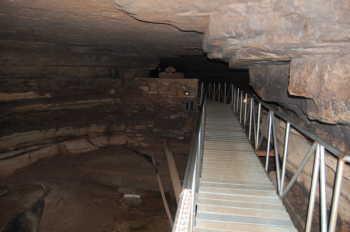 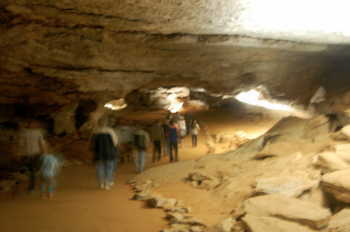 It turns out that April is a good time to go caving in Kentucky, since the caves were not very crowded. 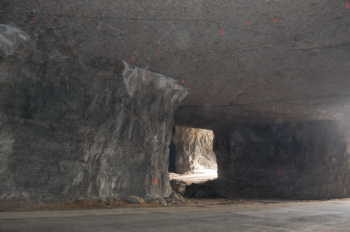 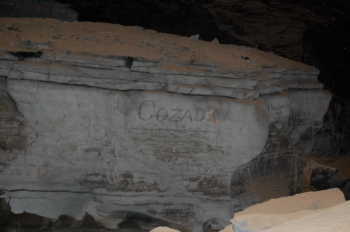 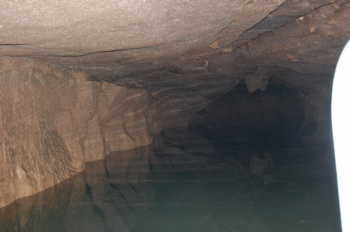 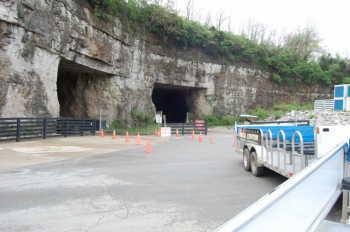 This is not a natural cave, but one carved out underneath sections of Louisville, as a limestone quarry. 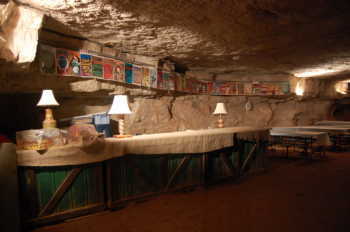 It's currently used for tours, zip lines, and offices and storage. 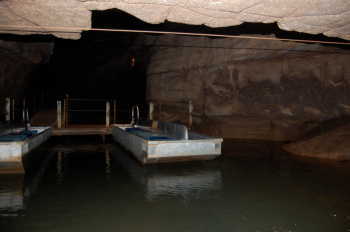 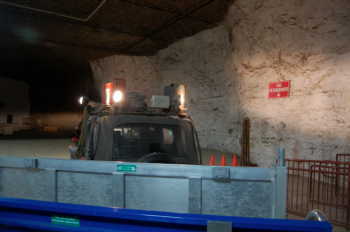 I traveled to the only underground boat tour in Kentucky. 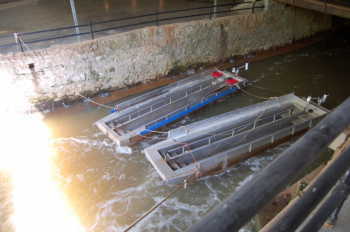 Unfortunately, the boat tours were closed due to too much water, but I spent some time aboveground. 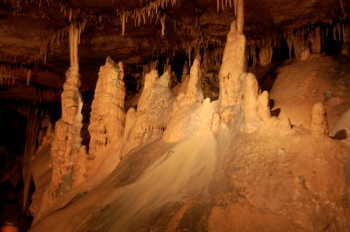 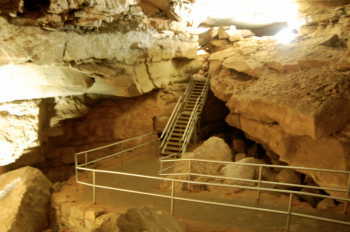 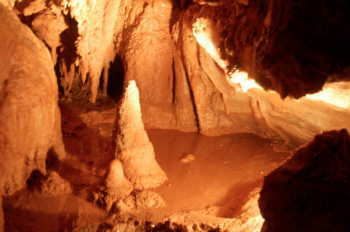 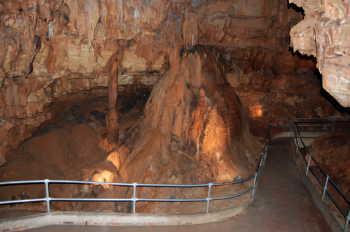 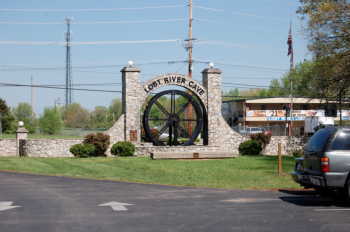 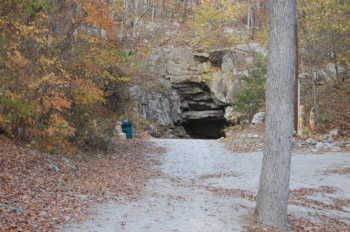 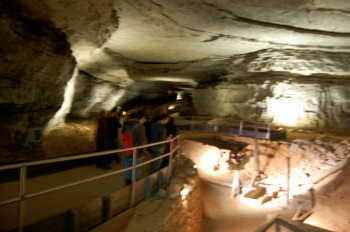 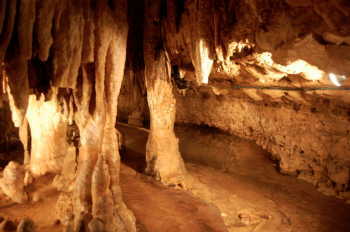 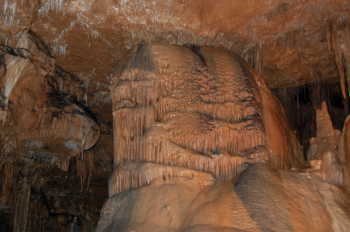 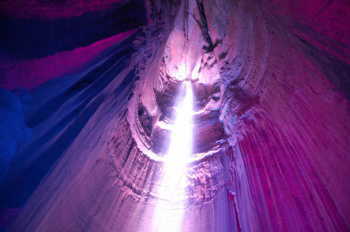 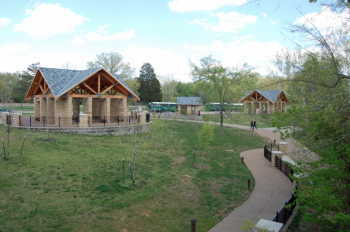 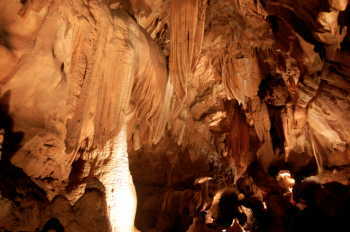 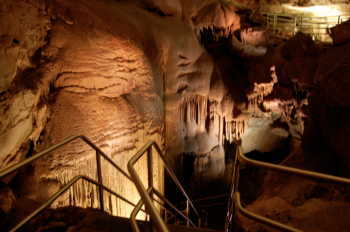 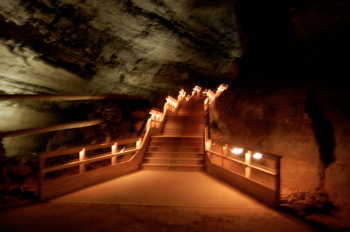 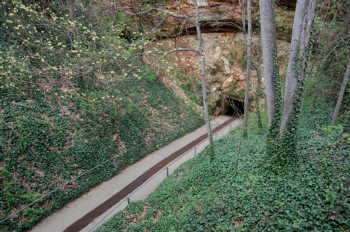 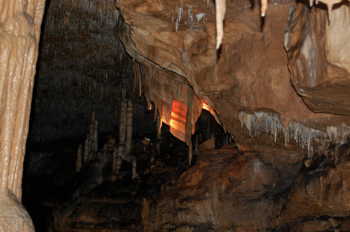 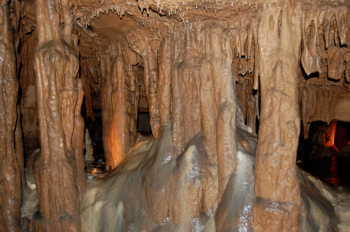 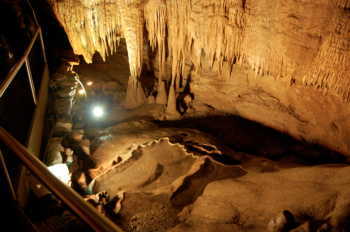 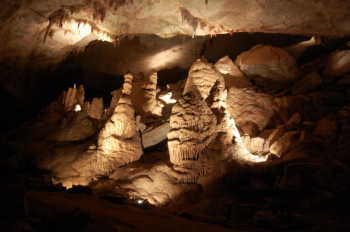 Diamond Caverns are very close to Mammoth Cave. 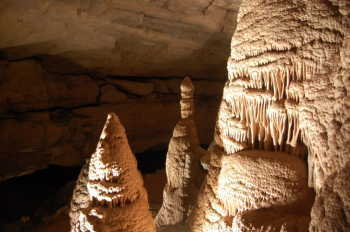 It's full of formations, and is probably the most beautiful one that I saw on this trip. 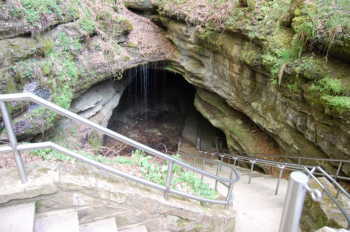 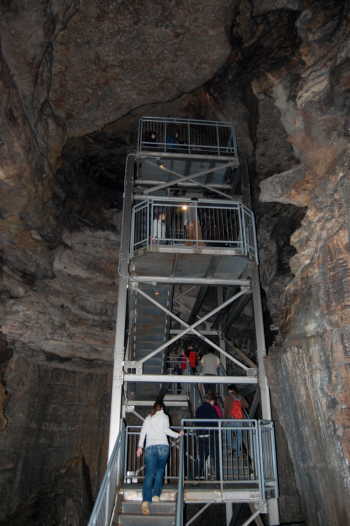 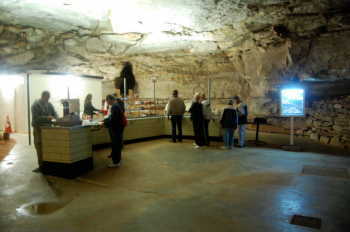 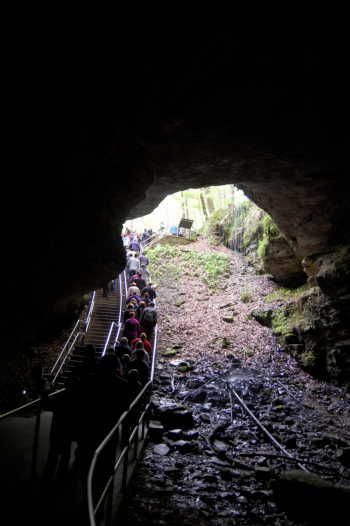 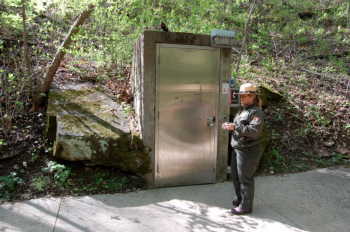 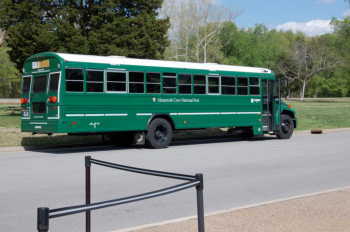 I took four tours in Mammoth Cave over two days - the first was the New Entrance Tour. 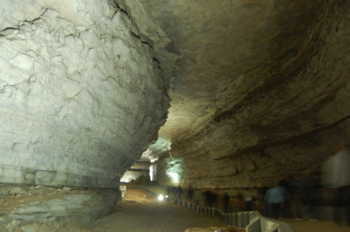 (This is now called the Domes & Dripstones tour.) 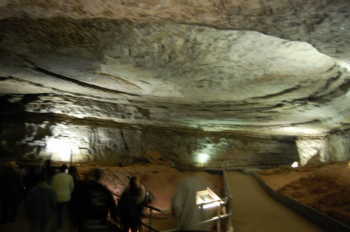 There were only three of us (which made it more enjoyable than if it had been full - over a hundred people), and we hopped on a bus to go to the New Entrance. 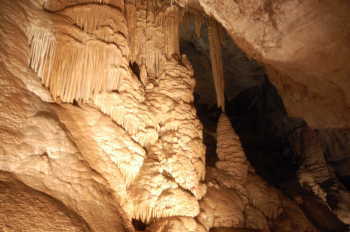 We spent a couple hours going through some beautiful formations, including the only flowstone formations in the cave - including Frozen Niagara. 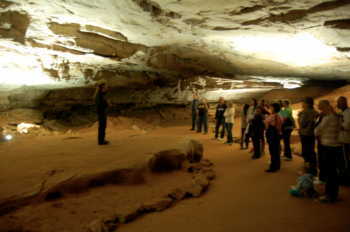 If you have time for only one tour, I'd suggest this one, or perhaps the Historic Tour. 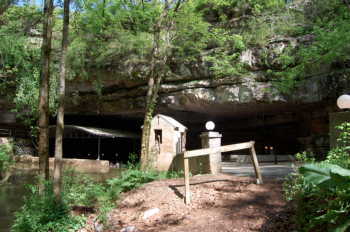 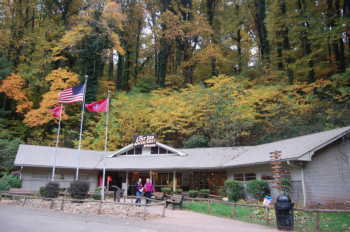 I stayed in the Mammoth Cave Inn for two nights, which was pleasant, and made relaxing in between the tours much more convenient. 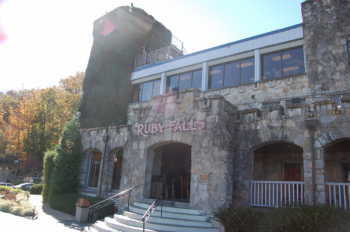 The next morning, I went on the Snowball Tour. 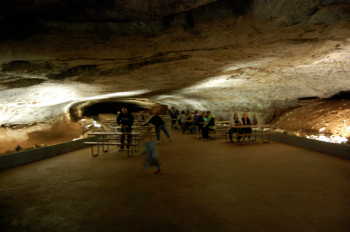 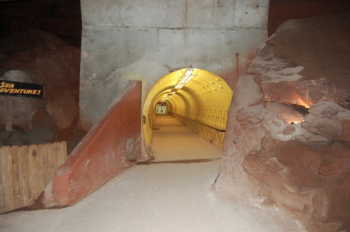 This had us on a bus to a manmade entrance, and culminated in lunch underground in the Snowball Room. 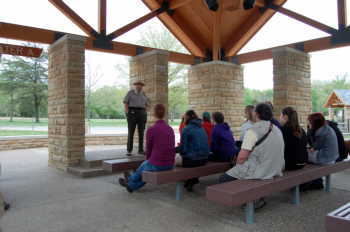 The third tour, that same afternoon, was the Historic Tour. 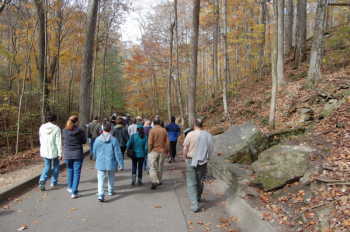 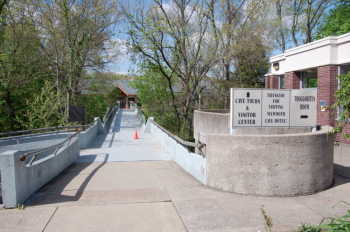 This starts with a walk from the Vistor Center to the historic entrance (the one that was known to ancient Native Americans and rediscovered in the late 1700s). 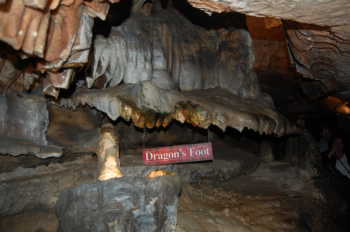 If you've been there, this is likely the one that you've been on. 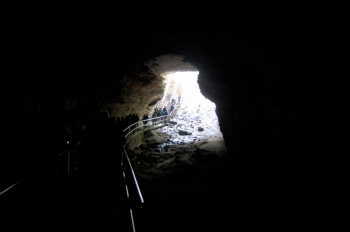 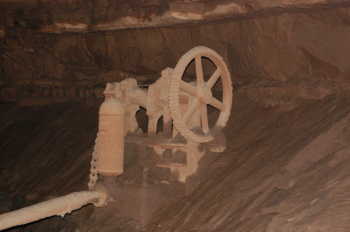 This provides a good overview of the history of the cave, including the mining of saltpeter. 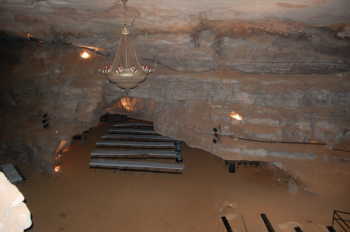 My final tour was the Star Chamber Tour. 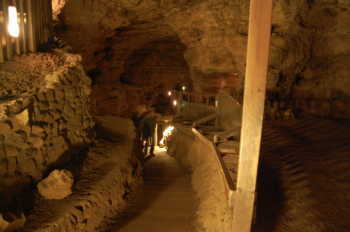 We used lantern light through most of it. 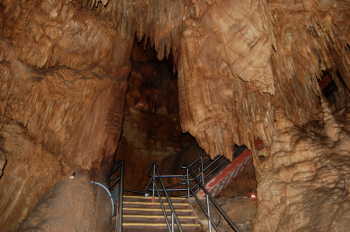 We entered the Historic Entrance and visited some areas that were not on the Historic Tour, including the Star Chamber itself. 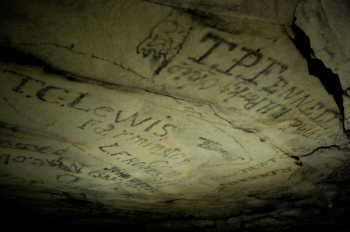 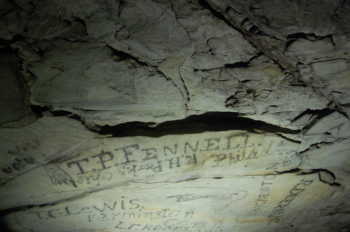 We also went up into Gothic Avenue and saw hundreds of graffitti that 1800s visitors left behind. 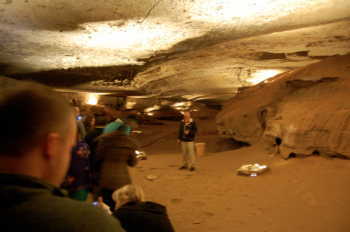 One of the more interesting facets of the tour was that many of the other tourists were a youth group from Canada, so talking about the temperature of the cave in Fahrenheit was confusing to them. 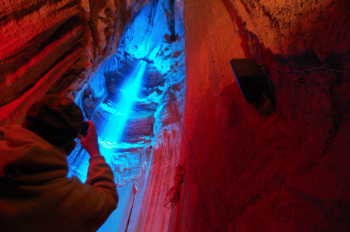 The tour guide needed to do a quick conversion to Celsius. 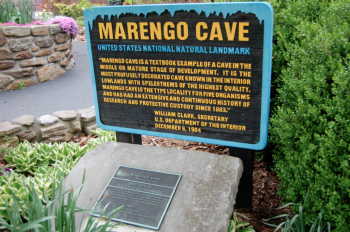 Marengo Cave is in the south of Indiana, and very beautiful. 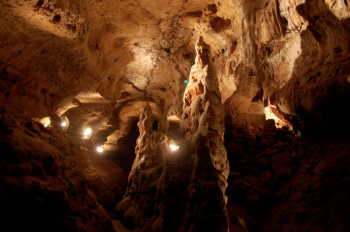 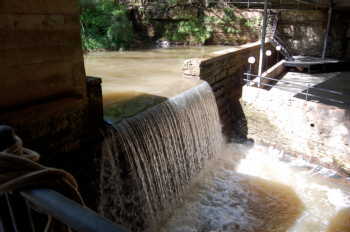 I first took the Dripstone Trail Tour. 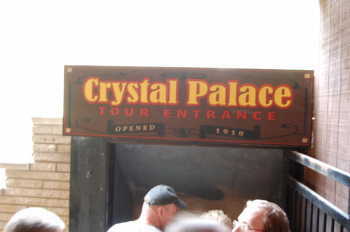 I then took the Crystal Palace Tour, which was a much shorter walk, but with a lot more formations. 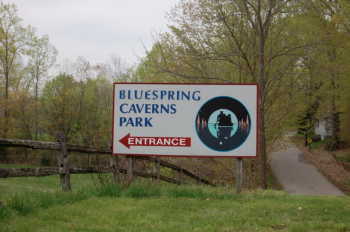 My final cave of the tour was a bit out of the way - Bluespring Caverns' tour is entirely by boat - it's an underground river. 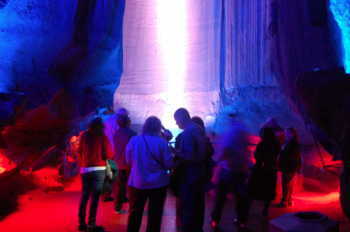 As there were no other people, I had a personal tour, and it was fascinating. 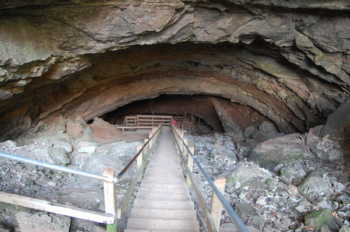 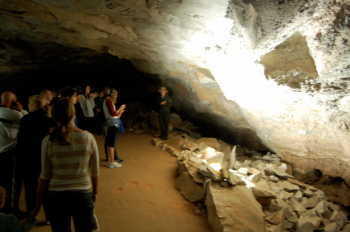 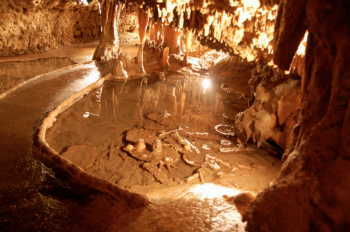 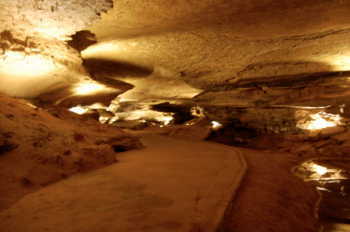 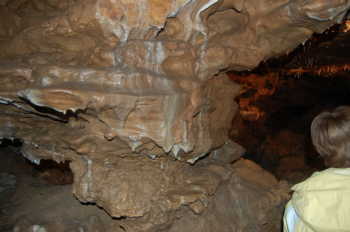 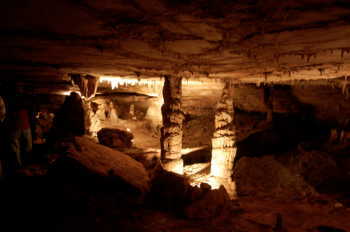 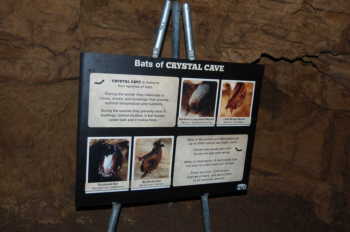 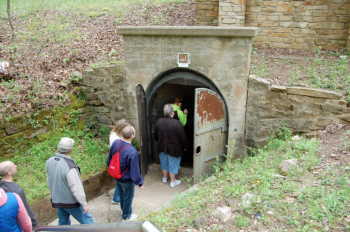 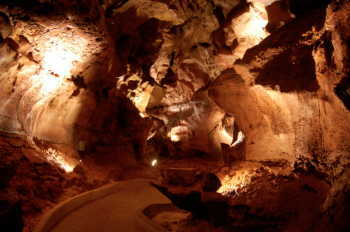 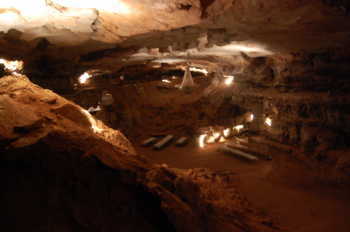 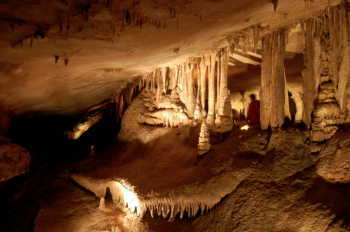 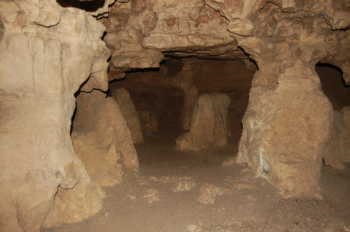 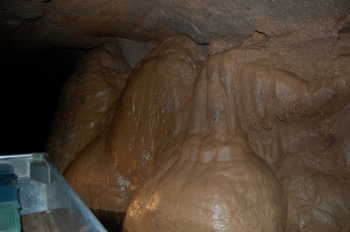 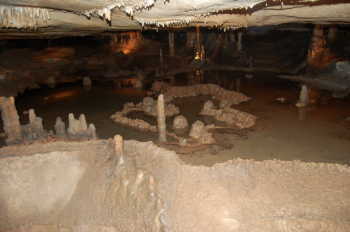 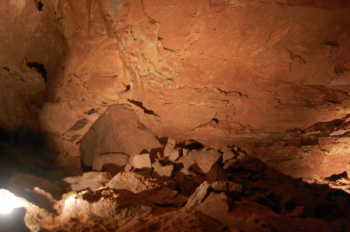 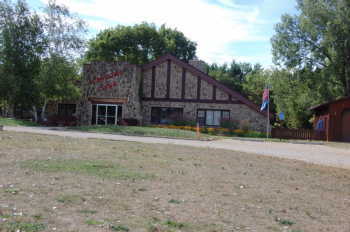 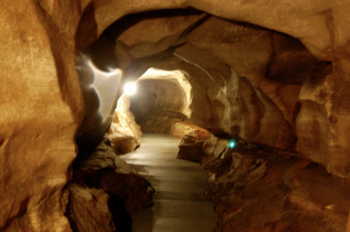 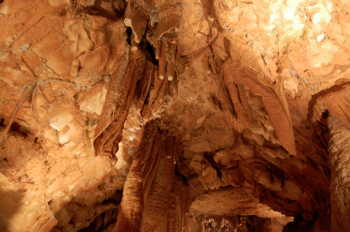 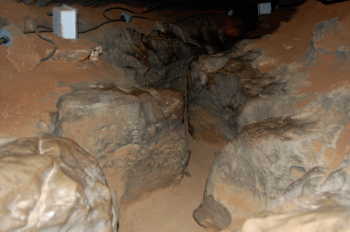 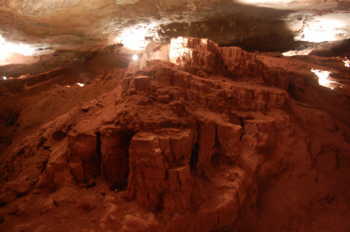 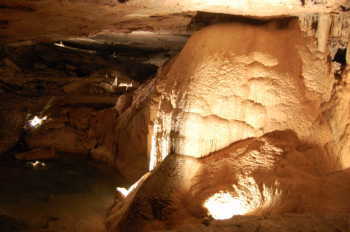 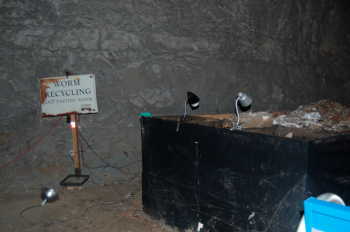 Crystal Cave is one of the other very few caves in the Midwest. 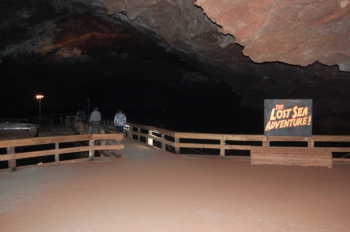 It was quite a lot of fun. 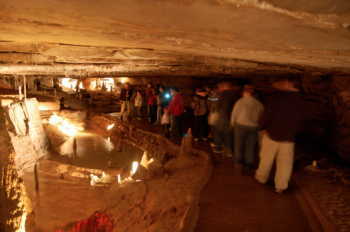 In October/November, I travelled to the inaugural Honorcon in Greenville, SC, and visited more caves on the way there and back. 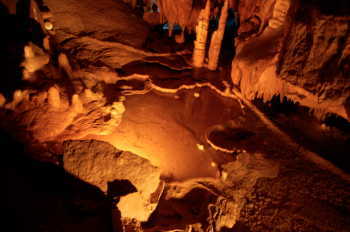 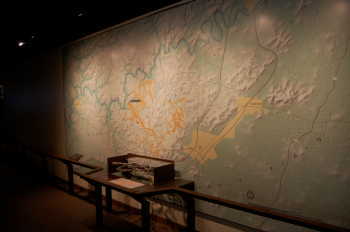 Lost Sea's tour is partly by land and partly by sea. 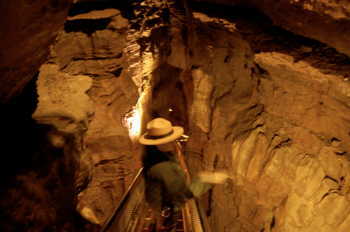 Since I was there on Halloween, my tour guide was dressed up as Captain Jack Sparrow, and that made it even more fun. 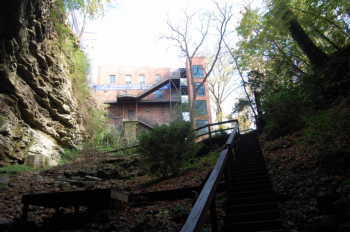 This has an astounding waterfall underground! 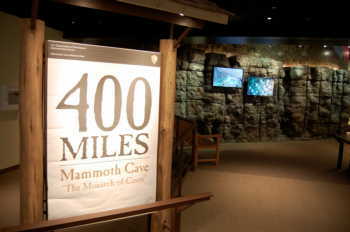 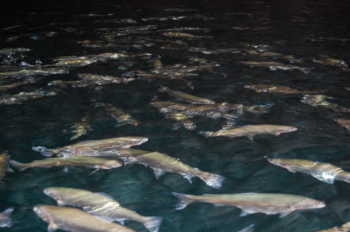 I had a private tour here, since fall/winter is a very slow season for them. 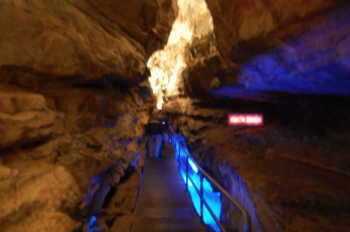 But it was very cool. 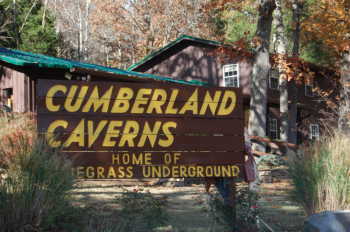 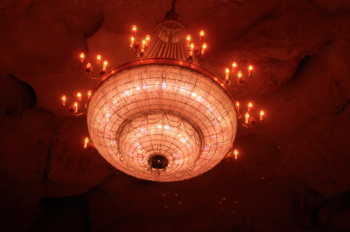 They have monthly Bluegrass Underground there, under the chandelier, and that would be worth a trip to see sometime. 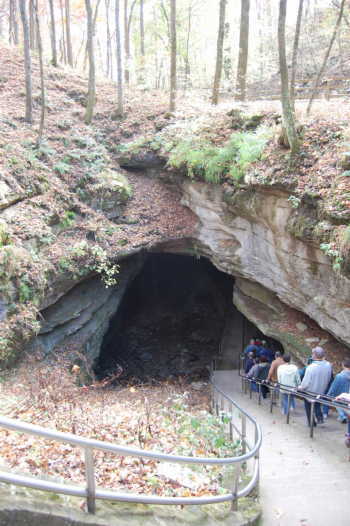 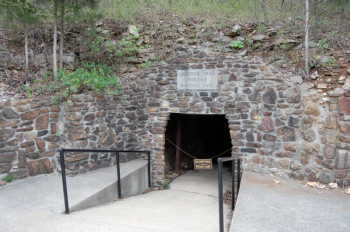 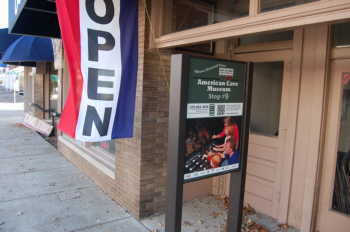 I was in the area again, so I had to visit Mammoth Cave again - this time, the Historic Tour.